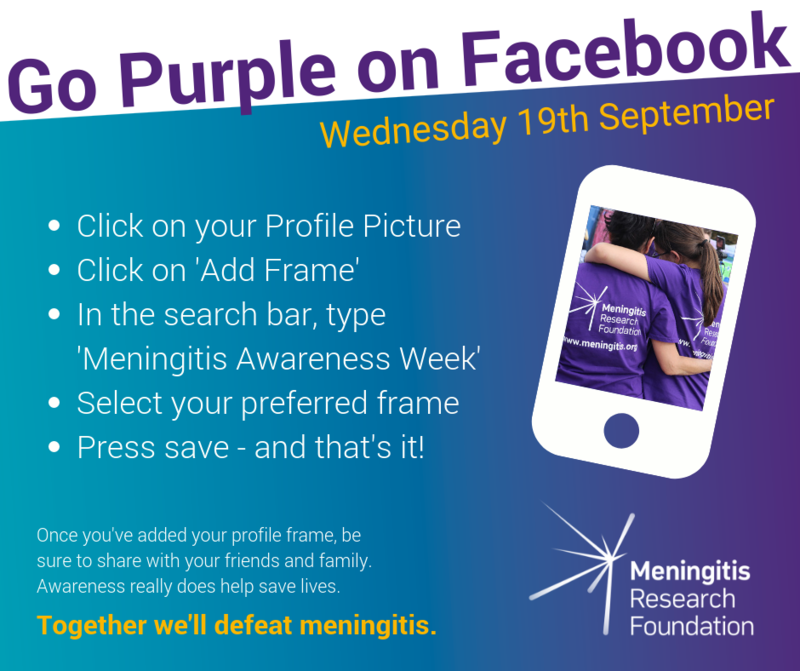 MRF's Meningitis Awareness Week starts on Monday 17 September. Here are some of the ways you can help make this year's Awareness Week a big success. A new report from Meningitis Research Foundation highlights concerns with pre hospital management of meningitis. Around half (49%) of children who have meningitis are sent home after their first visit to a GP and not admitted to hospital. We’re launching our report on radio stations around the UK and telling parents to trust their instincts - if your child is ill and getting worse, don’t be afraid to seek medical help immediately – even if you have already seen a doctor. Order a FREE awareness pack and take a ‘safety net’ selfie. We have new posters to put up in your local area. Please try to put one in your local GP surgery, NCT group, nursery or library – anywhere where parents might be! If you can, take a ‘safety net selfie’ with your poster in the background. If you tag it with #TrustYourInstincts or #DontMissMeningitis we can share it online. You can also help by sharing any of this week’s messages on social media. This is your shot at helping us defeat meningitis by fundraising to support our vital work. We need you to email or write to your local MP. Local MPs will only work on behalf of their constituents. You can use the template below to ask your MP what is being done to ensure parents are given the information they need to protect their children. We call for positive change as a united voice against meningitis and septicaemia, and a dedicated champion for those it affects. Since the charity was founded in 1989, we have awarded 161 research grants. The total value of our investment in vital scientific research is over £19.1 million (€24.7 million). We take action that benefits people directly, including training health professionals and providing support and information services.